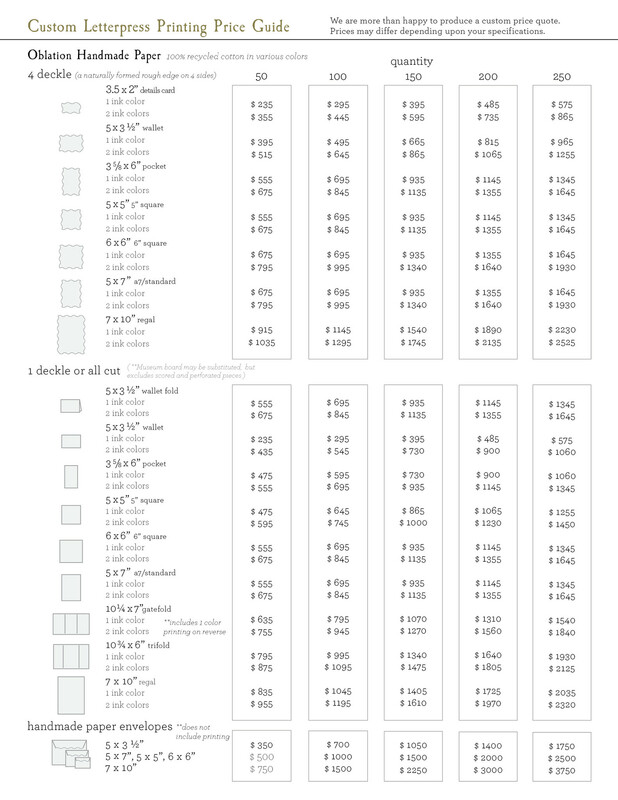 the final price of your custom piece(s) will depend on the customization options you choose. 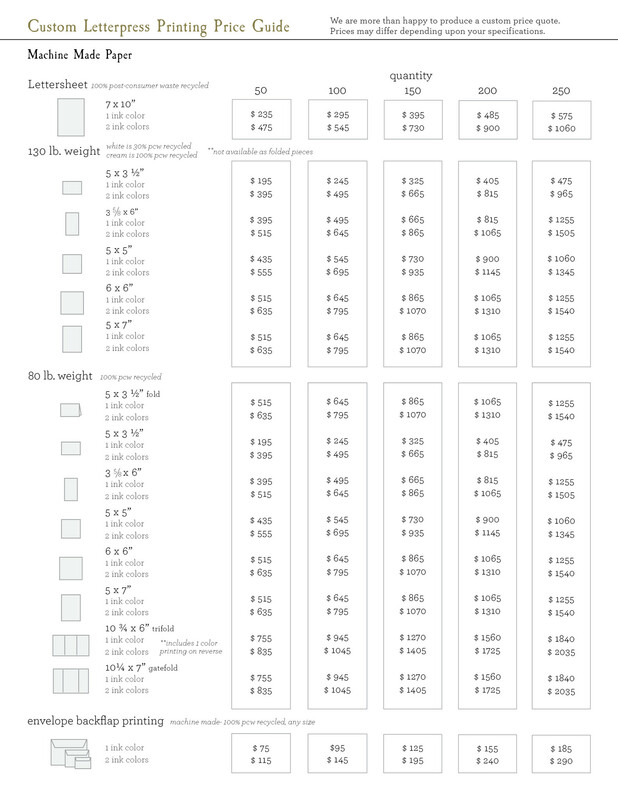 you can refer to our pricing sheets here, and scroll down to receive a custom quote from our team reflecting your design choices. We have been designing custom wedding invitations for nearly three decades. We welcome you to join us at Oblation Papers & Press, as we carefully craft the printed pieces to announce your joyful life events. Read about custom orders for information. For a custom quote, please fill out the form below.